01Mar19 - Miami Dolphins Offseason - Keep, Cut or Trade? A show by DolFans for DolFans. 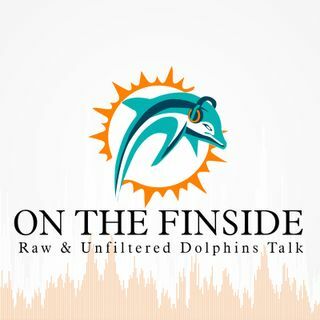 A collaboration between On The FinSide's Paul Picken, Jr and Miami Sports Music's Stephen Daniels providing analysis, fantasy advice and game previews. THE home for debuting Solo D's fight song of the week each and every week of the regular season. Also available to download/subscribe ... Más informaciones on iTunes, YouTube and the Miami Sports Music App (www.MiamiSportsMusic.com/App). Follow us on Facebook (www.Facebook.com/DolFansInTheStands) or Twitter (@DWA_InTheStands) as well! Running for 8+ years, On The FinSide featuring Brian "Cat" Catanzaro and Paul Picken, Jr has found a NEW home and we've brought some Dolphins friends with us. Bringing you great NFL content featuring analysis, player and alumni interviews and much, much more. We go into this season with an elevated relationship with ... Más informaciones the team, so we should be providing you even more great content across the board - and in shorter segments that are broken out and allow us to get you the latest news faster!